Anyone? Does one exist? I hope so, but I can't find it, if it does. Many links come up for the Opencaching.COM app. We have one for Droid, and shockingly I found one for Windows Phone, but I find it hard to believe there isn't one. A local cacher asked me, I figured for sure I'd find discussion of it here, but that was Columbus for Droid. P.S. Woohoo, look at my banner. I now have more finds than hides. Re: Opencaching Network app for Iphone? And congrats on the find/hide ratio. Can I assume you didn't find any ticks of your own? It doesn't seem to retrieve caches from Opencaching.us. Hit the plus sign st the top right. On the green page st the” from” section tsp the area and scroll to OpenCaching.us. Did that and searched by GS location. Same thing either way, "No Results". And now it works. No clue what is different. Oh well, I guess I can't be smart & good looking. GOF wrote: And now it works. No clue what is different. Oh well, I guess I can't be smart & good looking. Well, if Vladimir Lenin was good looking, then you are too, since you two bear an uncanny resemblence to each other. Dru's friend Tag is the one who asked. It's Tag with numbers after it, but I don't remember what they are. So you can help her out if necessary. And no, I didn't get any ticks on me. Only time I ever picked up Ticks while caching was in Canada, about 50 miles west of the Peace Bridge. Haldimand County, I think it was. Rural rails to trails. 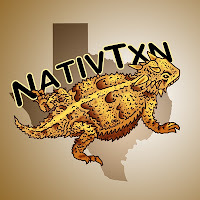 Thanks NativeTxn, info has been passed along! I am going to later make a suggestion post in the proper forum that the OCNA team make a nice web page with links and info to all the Opencaching Network Smartphone apps that are available. Golly gee, thanks! As well preserved as that guy is he has still been dead since 1924. Tell Tag(assorted #s) to contact me if they need help. But remember, I just got this working, barely, myself. Probably better off asking here. No i dont have any Opencaching Network app for Iphone.